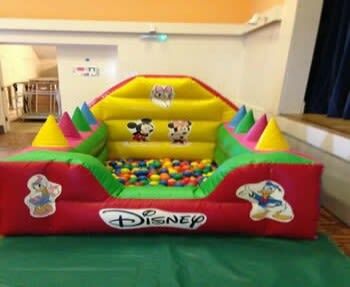 Themed inflatable ball pit. Suitable for children under 5 years. Indoor use only.